» Brettanomyces : aim well ! We all have faced this enigma. The works of Isabelle Masneuf and Warren Albertin of the ISVV of Bordeaux have recently solved this mystery. Some strains of Brettanomyces have genetic elements conferring them a strong robustness to SO2. 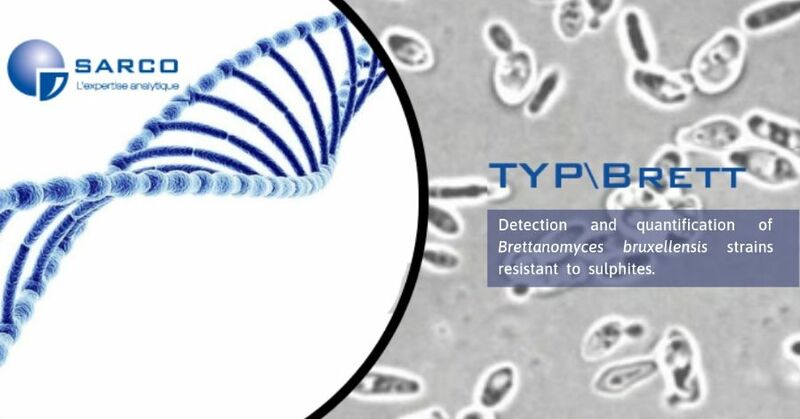 This discovery allowed to develop a genetic test for the quantification of SO2-resistant Brettanomyces strains: the TYP\Brett test. TYP\Brett indicates the total population of Brettanomyces bruxellensis and the % of this population resistant to SO2. For the first time in oenology, a microbiological analysis not only provides quantitative information but concrete elements of application in cellars.